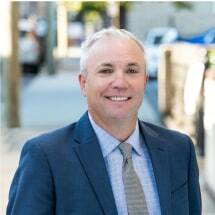 Rick Hogan is the managing partner of the Wilmington office of Hogan & Vandenberg LLC. His practice focuses on business, investor and family immigration. He is admitted to the State Bar of Pennsylvania, the United States Court of Appeals for the Third Circuit and he is a member of the American Immigration Lawyers Association (AILA). Rick is a 1993 graduate of St. Edward's University (Austin, Texas) and Villanova University School of Law (2003). Rick regularly speaks to community groups, immigrant organizations and professional audiences about U.S. immigration matters.